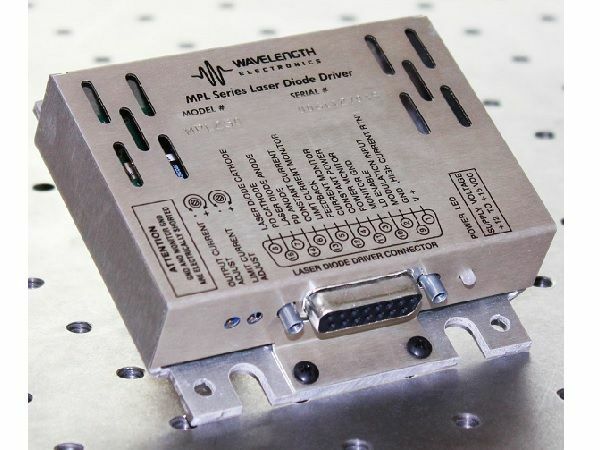 The MPL series provides excellent stability during constant current, constant power, or modulated operation of your laser diode. Front panel 12-turn trimpots allow precise control of set point and limit current. The independent current limit offers an additional level of protection for your laser diode. Cabling to the female Dsub15 connector is available: WCB102. A smaller low noise laser diode driver is available in the FL500. Two photodiode ranges provide variable sensitivities for optimum operation. You can maintain excellent stabilty when operating in both constant current and constant power mode. Setpoint and current limit trimpots are easilly accessible and offer precision control. A slow start circuit, mechanical shorting relay, and current limit offer maximum protection for your laser diode even when power is removed. The level of current set by the current limit is always drawn from the DC power supply.